Trouble is on the horizon at Adventure Beach! Help Ryder save the Baby Octopus by jumping aboard the PAW Patrol Sea Patroller. Equipped with flashing lights, sounds and a detachable anchor, this rescue vehicle comes with everything you need to sail the high seas. This is a BIG toy (see below for dimensions) it is also quite expensive. However like with all Spinmaster toys it is well made, sturdy and so far we've managed to never break any of their products, and lets face it Rocky isn't exactly the most gentle child, so it is a pretty good investment. A perfect 'main' birthday or Christmas present for any Paw Patrol fanatic. 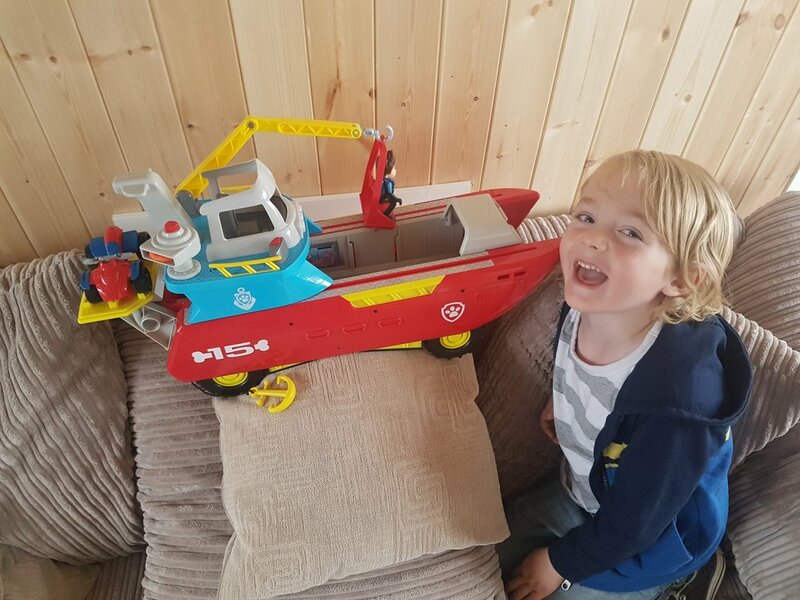 The brightly coloured Paw Patrol themed Sea Patroller, is modelled on the one used by Ryder in the popular TV cartoon from Spinmaster. The patroller goes from land to sea in one easy slide of the bridge on the top, which pops the wheels in and out. The boat comes with flashy lights and sounds with the push of a button. They can launch life rings from the cool launcher on the patrollers bridge, shooting them into the sea. 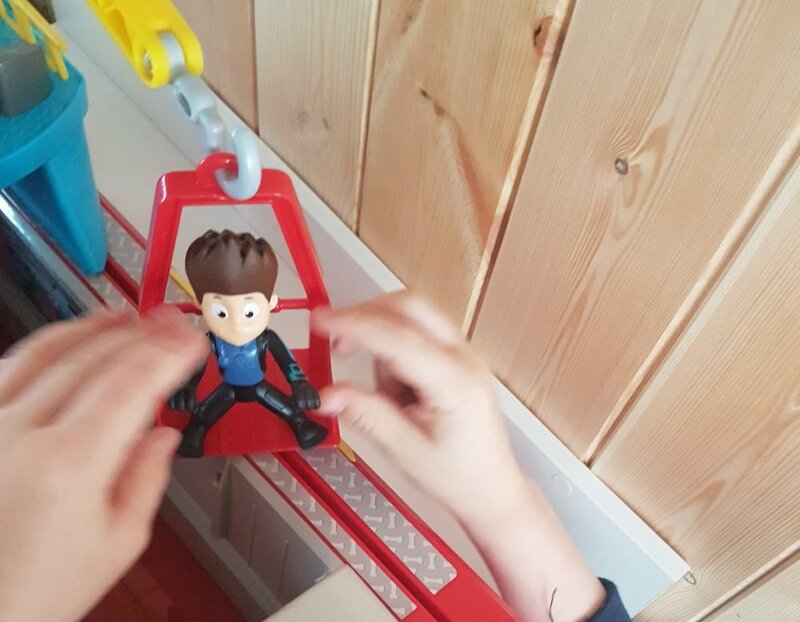 On the top of the bridge, alongside the launcher is a movable crane which can help Ryder save the day with his exploration platform (included in the box) and catch the baby octopus (also included in the box). The patroller can be used with all the pups and their patrollers, but comes with Ryder and his ATV, which is part of the new Sea Patrol collection. Other fun things on the Sea Patroller include a Helipad for Skye and her helicopter (sold separately), a hatch to launch the pups onto their mission, a hook and anchor to keep the patroller still in the sea and vehicle storage inside the boat for easy storage of the vehicles. All in all it is pretty cool.